Directions: Take Highway 7 South (Central Avenue) out of Hot Springs (toward the Hot Springs Mall). You will travel about 4.8 miles from Central and Whittington. Take a right on Files Road (there is a traffic light there); go up the hill, and the cemetery is on the right in the curve. The cemetery was photographed, read and transcribed by Patti Vance Hays March 30, 2010. Patti has photographs of most of the markers. A few of them may be found on this page. They may be identified by the underlined names. 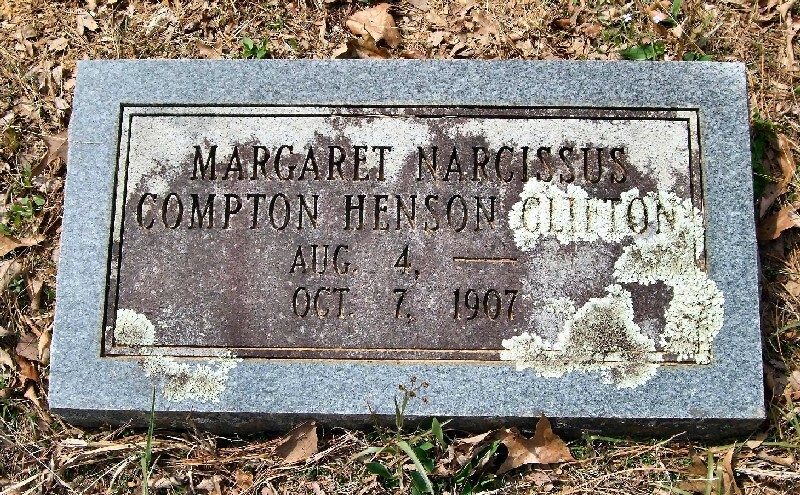 Click on the underlined name for the tombstone photograph. 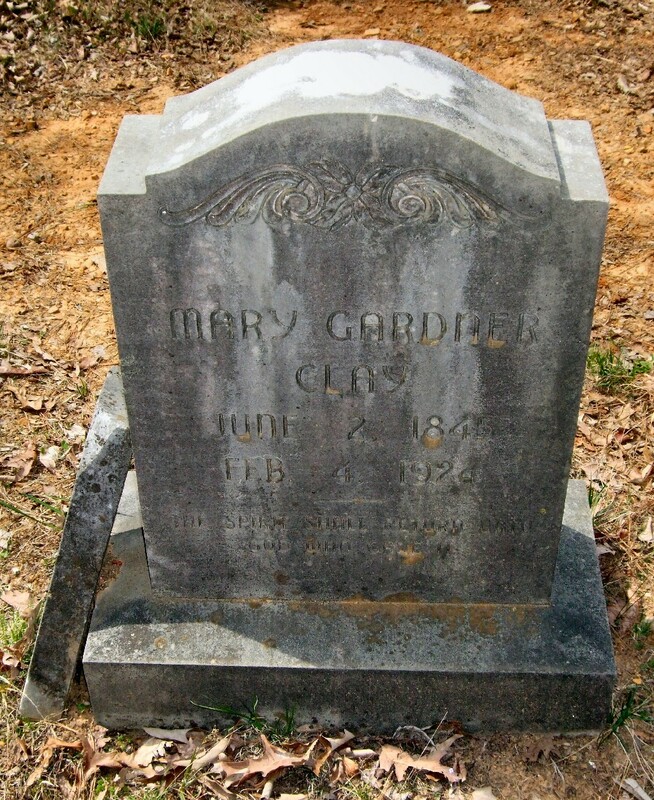 If you would like a photograph of the marker emailed to you, send the webmaster an email with subject: Files Cemetery Photograph, then copy and paste the entry from this page into the body of the email. 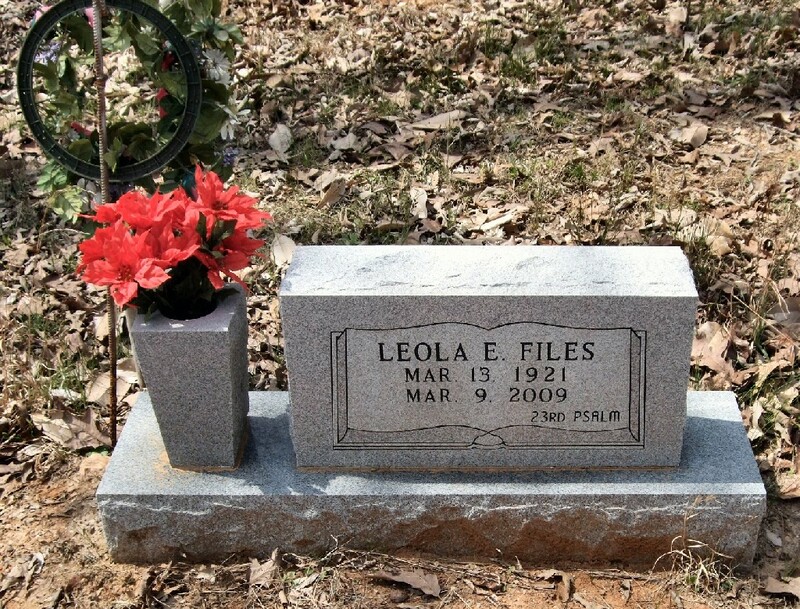 We have just begun to add personal photographs within the cemetery transcriptions. If you have a personal photograph of someone who is listed in Files Cemetery, please email it to the webmaster with complete information so that we may include it in the website. 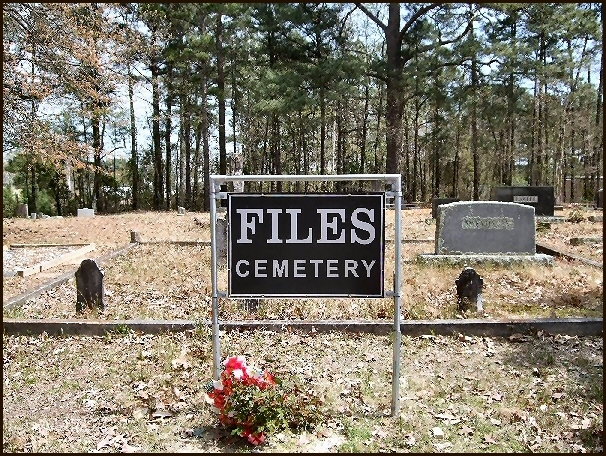 You should show in the subject line: personal photograph for Files Cemetery. The message should include the full name of the person whose photograph you are sending and dates shown in the transcription so that we will place it with the correct person. Please send only one photograph per person and only one photograph per email. Photographs may be used for your personal use but may not be published in any medium without permission. Swearingen, Sarah M. 08/11/1833-05/17/1889 Wife of J. W.
Swearingen, Oscar L. 07/18/1895-07/16/1896 Son of C. W. and A. L.
Swearingen, Claud M. 02/28/1893-08/16/1894 son of C. W. and A. L.
Swearingen, Freddie 12/19/1897-04/03/1899 Son of C. W. and A. L.
Burrough, Emma L. 11/01/1875-02/01/1905 Wife of Ed. H. Burrough As a wife, devoted; As a mother, affectionate; As a friend, ever kind and true. In life she exhibted all the graces of a Christian; In death her redeemed spirit returned to God, Who gave it. Clay, W. L. 11/18/1843-04/10/1899 Co F 1 Arkansas Cav C.S.A. 2 Patti did not see this marker; obtained the information from Garland County, Arkansas Tombstone Inscriptions Eastern Volume I compiled by Inez E. Cline and Bobbie Jones McLane in 1969. Files Cemetery was read April 26, 1967, by Pat Brown and Inez Cline for that publication. 3 Patti did not see a marker; information about burial from an obituary in The Sentinel-Record. 4 The Melting Pot Genealogical Society has the obituary archived. 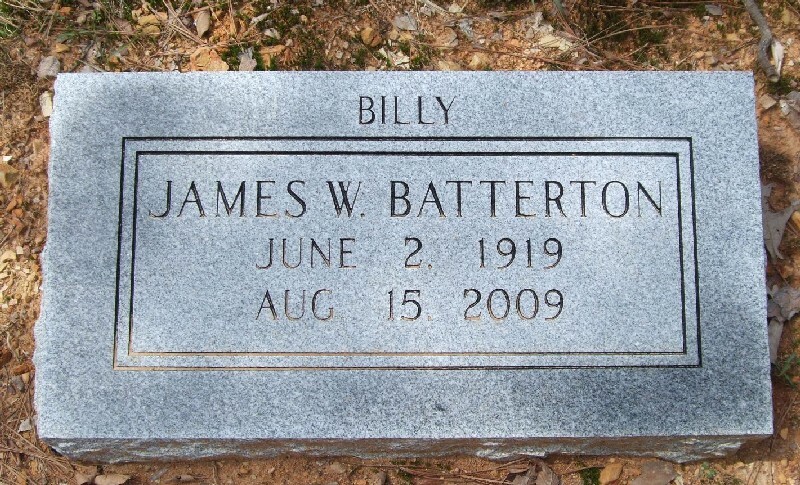 You may go here to find out how to request an obituary. After reading the instructions on requesting, please be sure to find the obituary in the listings so that you may copy and paste the entire line in your e-mail.